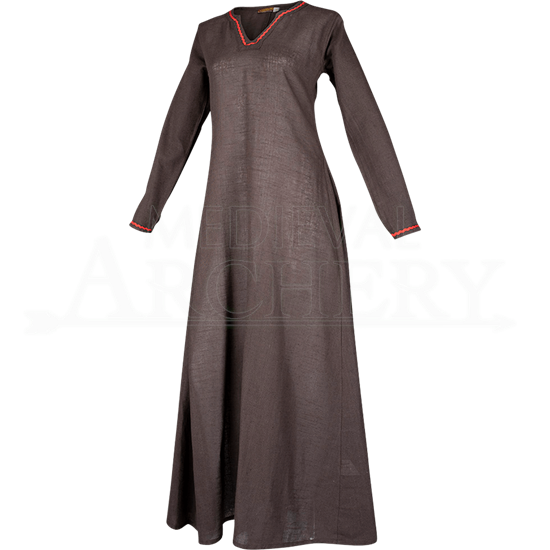 The Linen Rikke Dress is a beautiful dress perfect for the medieval maiden. The medieval dress is designed to work alone or to be layered with other elements. Handmade with linen, four color options and different sizes are available with different colored trim along the wrists and V-neck. This slip-on dress is lightweight enough to wear during the summer but versatile with its long sleeves. 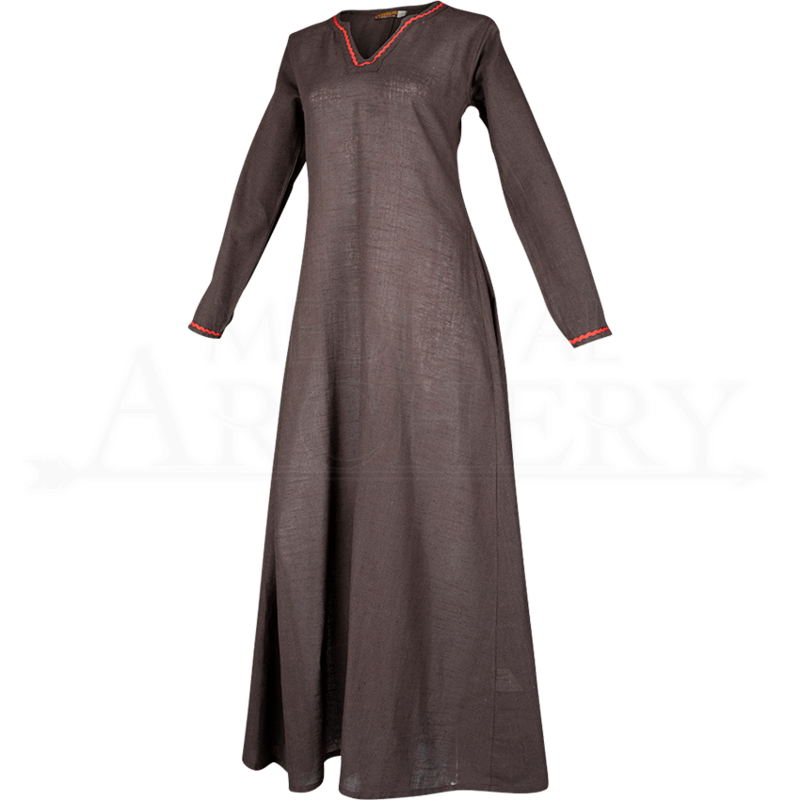 With simple neck and sleeve trim, it is ideal for a faire or a LARP event. Handwashing recommended. Do not dry in the dryer. Do not bleach. Item may be ironed on a low setting.